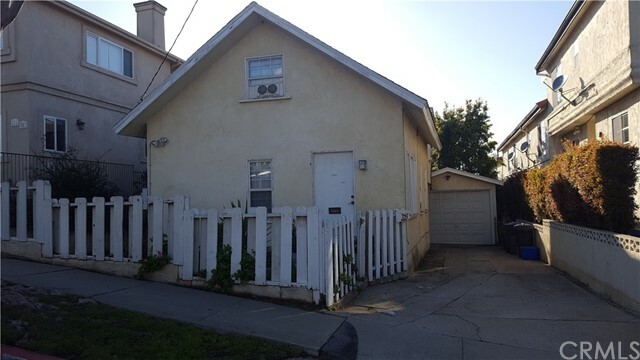 I would like more information about 325 Sierra St, El Segundo, CA 90245 MLS #PW19049395. This is a rare deal, 4 units under market just blocks from the beach and walking distance to downtown El Segundoâ€™s restaurants and shops. The front has a House and in the rear are 3 separate units. The house is a 2 bedroom 1 bath house with private laundry and a private patio, bright and airy kitchen, a large bath and dressing area, the upstairs bedroom opens to the attic, there is a 1 car garage and the driveway has room for 2 additional cars. In the back is a 2 bedroom, 1 bath, then there are Two 1 bedroom 1 bath apartments, in the back off the ally there are 4 individual garages. El Segundo does not have rent control. The property on 325 Sierra St, El Segundo, CA 90245 is listed for $1,799,000 as MLS #PW19049395. This 0 bedroom, 0 bathroom sqft Quadruplex built in 1964 located in El Segundo, CA 90245. For more information regarding this or any other property in El Segundo, please contact us at (424) 272-1339.